Teddington is dressed and ready for the World Cup! Retailers got together to again fly country flags – this time for the 32 teams taking part in the World Cup! For the eagle-eyed flag spotters, no you’re not seeing the Irish flag (Ireland didn’t qualify), it’s actually the Ivory Coast which looks the same when reversed. 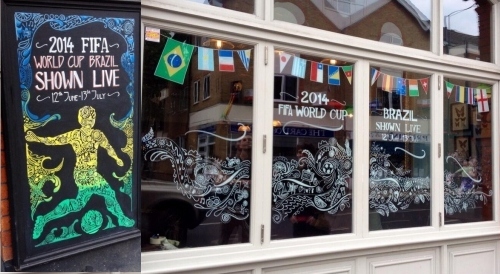 Fab World Cup artwork by local sign-writer BespokeToYou. There’s loads of World Cup action at the Teddington Arms – on the 12th of June they will be heralding the start of the competition with a World Cup Party with DJ Yasmeen. Throughout the cup there will be a specially tailored menu with Brazilian dishes, drink specials and not forgetting one giant screen and 3 HD ones to watch the matches! 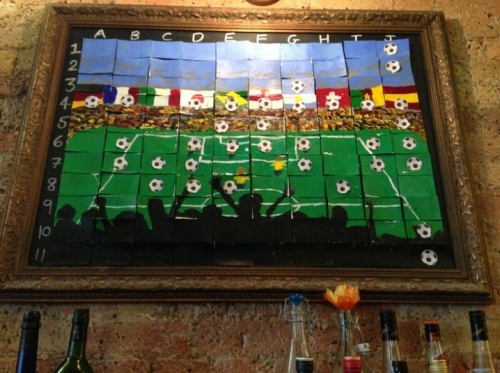 The Teddington Arms also have a spot-the-ball competition – which square hides the ball? If you guess right you win a £50 bar tab. The Royal Oak we will be showing all the games and also have a big screen with surround sound downstairs in the function that large groups can hire with the private bar. A special offer of burger and a beer for £10 will also be on during World Cup matches. At Brouge, all games will be shown including late kick-offs and special World Cup cocktail 241 offers will be happening too. 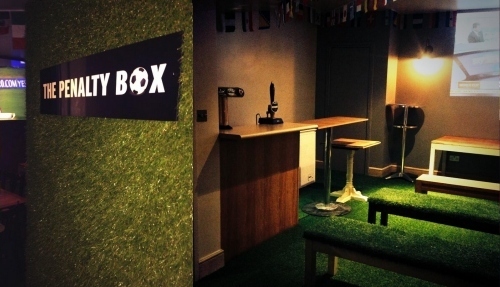 Waldegrave Arms have created ‘The Penalty Box’ in their basement function room – to help enjoy the football like you’re at the game itself they have a big projection screen, surround sound and astro-turfed floor and benches! Tickets for the Penalty Box can be booked in advance (£35) and include free beer/cider from an hour before each game. As well as the exclusive bar and table service so you can order from the new World Cup menu and won’t have to take your eyes off the screen! The Waldy is also running a fantasy football league where the winner will win a £500 bar tab – ask at the bar for details. If you don’t already have enough reasons to want England to do well in the competition, Red Peppers and Bar Estilo will be offering 2 for 1 pizzas every time England Win. 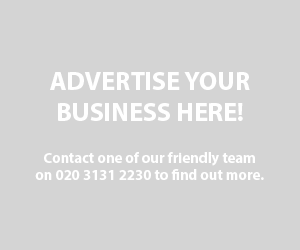 Just mention the World Cup promo when you book (for dining on the day of the win or next day if it was a late kick-off). Simply Skin will be providing special offers for those who want escape all the World Cup excitement such as Brazilian World Cup waxes – including a prize draw to win Dermalogica products. 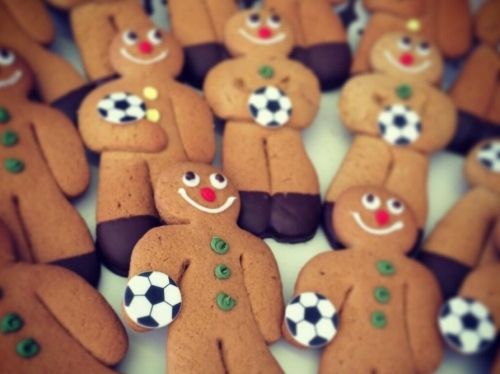 Cavan Bakery will be selling special World Cup gingerbread men with footballs, also Brazil-themed products such as ‘The Brazilian’ – a tropical cake with banana, pineapple, coconut and mango and England flag-decorated jam doughnuts on England match days. The Anglers will be showing World Matches (especially the England games) starting with England vs Italy this Saturday on two new wide-screens in the bar and function room. Other England fixtures will be shown throughout the gardens. 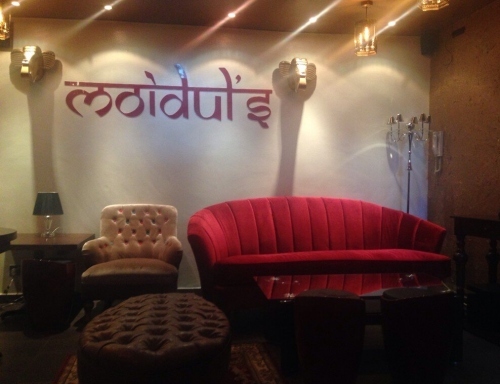 Moiduls has been working on a brand new downstairs lounge area which will open this Thursday to coincide with the World Cup. They will be showing the first of many World Cup games in the new lounge with TVs, cold beers and their famous cocktails on offer. 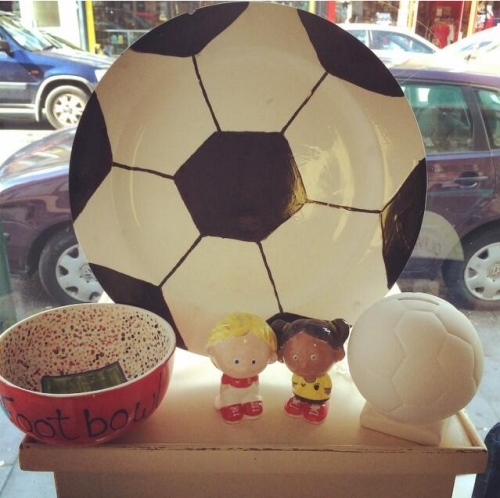 If you’re feeling creative then pop by Happy Potter who have special World Cup & football pottery on offer. Locals are getting serious with their Panini Sticker collecting! 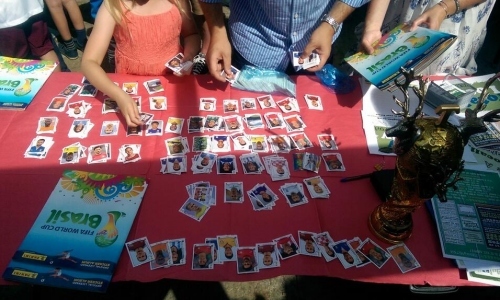 Successful swap-meets at the Totally Locally Teddington World Cup and second one last week saw fans young and old turn up with their swaps to help finish their books. Due to popular demand, another swap meeting is planned for Sunday 22nd June 3-5pm at Shambles restaurant. [Udpate] If you fancy your chances at some football prediction, Milestone have created a World Cup sweepstake for locals. 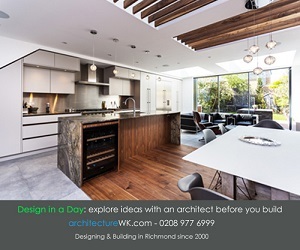 Download the form (pdf and doc) – complete the form and either email or deliver the form to Milestone by end of Sunday for the chance to win some prizes!